The end of summer is approaching, and in the UAE, this only means that there's lots to look forward to. Most celebrations are planned around this time, when the weather is agreeable. Think parties, weddings, and family get-togethers. Let's not forget Christmas, and the New Year. We recently previewed the Autumn/Winter 2015 collection at Centrepoint, which is now available in stores. 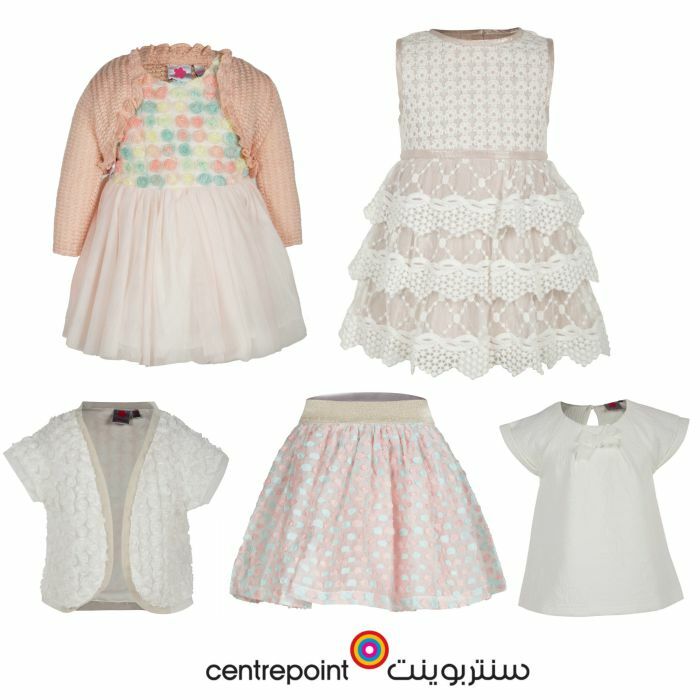 One thing you can always expect from Centrepoint is a large collection, and this time too, there is an impressive variety. 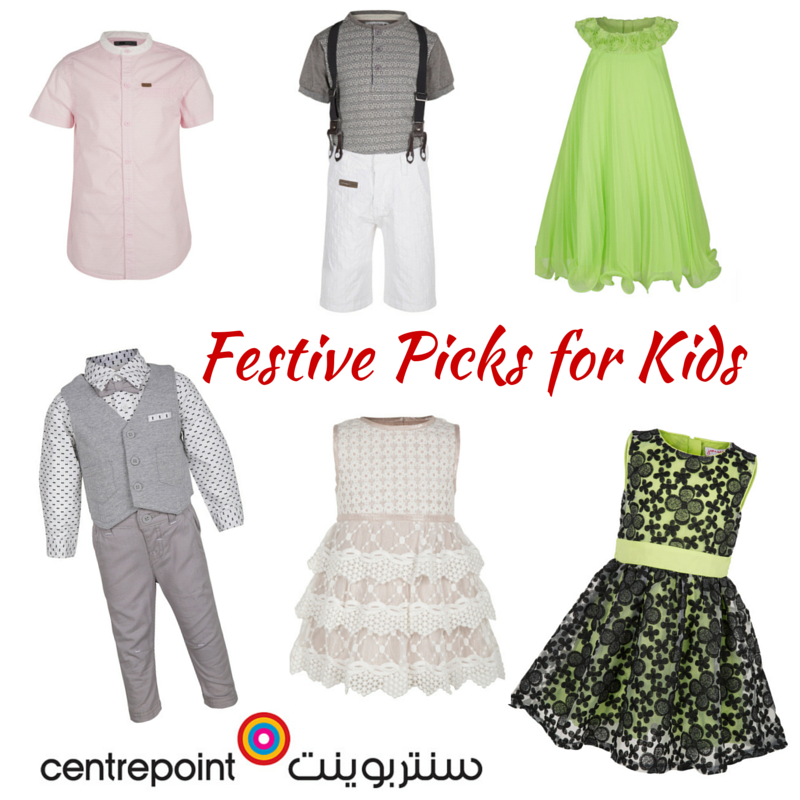 What I liked most about their kids collection (you can find it in the Babyshop section) are the beautiful pieces that would stand out at any special occasion. I'm sharing with you a few styles that I loved, for both boys and girls. 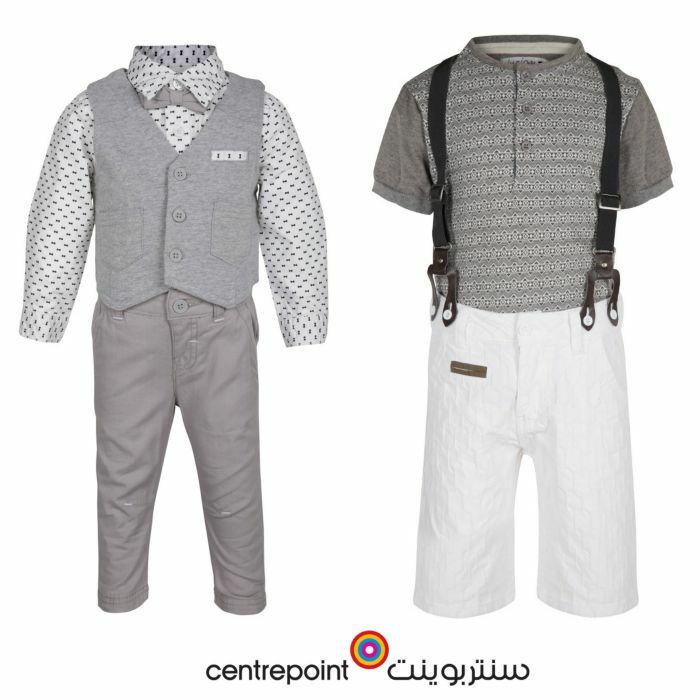 The vintage-style waistcoats and suspenders will look adorable on little boys. I like how greys and blacks have been used to add sophistication to the kids collection. While some of the pieces are completely formal, down to the bow tie, others have a semi-casual look, like the cargo shorts. The dressy shirts look great, as do the formal pants. Even though they are formal designs, the cotton fabric and loose style is still comfortable for kids. I'm also glad to see pale pink in the colour palette for boys. Even in the toddlers range, there are pretty dresses, tops, and bottoms that are as stylish as mom would wear! The pastel shades are perfect for autumn, and will make any little girl look special. For older girls too, there's a beautiful range of bold colours. Dress lines have been experimented with, and there are lovely high-waisted, and one piece dresses great for parties and festive occasions. Like what you see so far? 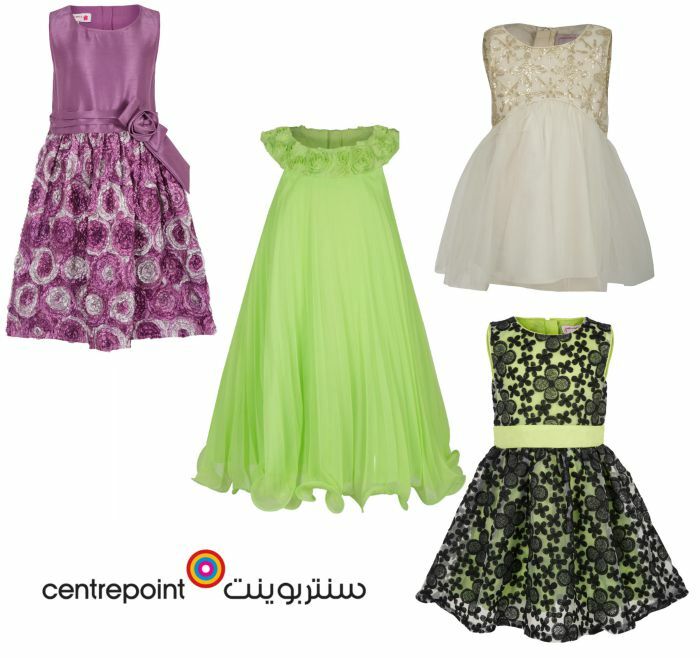 Check out the complete range at Centrepoint stores in the UAE. Don't forget that Centrepoint also stocks shoes and accessories for kids, so you can get everything for a complete outfit in one place!